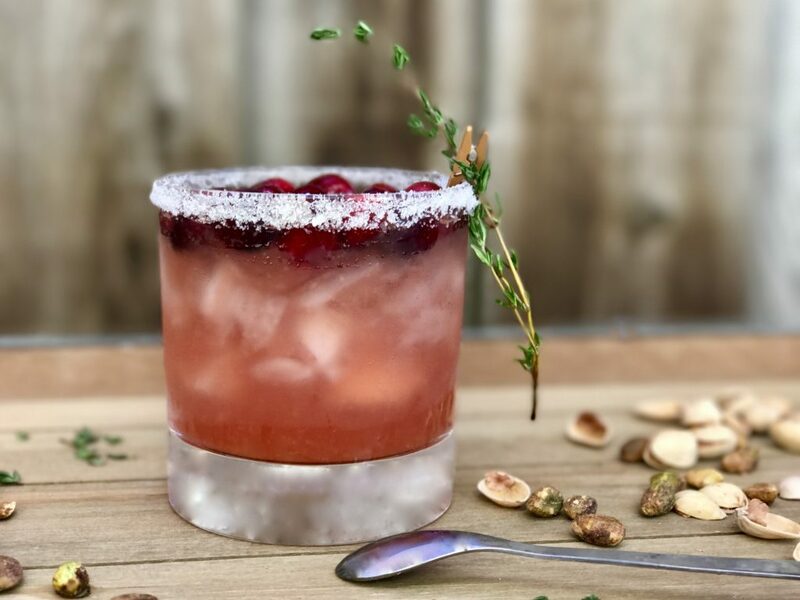 This is a cranberry-orange whisky sour and it’s a great specialty cocktail for holiday parties. A whisky sour is a classic bourbon drink that is subtly sweet and sour at the same time. If you ask a bartender, a traditional whisky sour is one of the simplest cocktails that you can get that is still called a cocktail. There is a base spirit (whisky), water, sugar, and a citrus element (usually lemon juice). 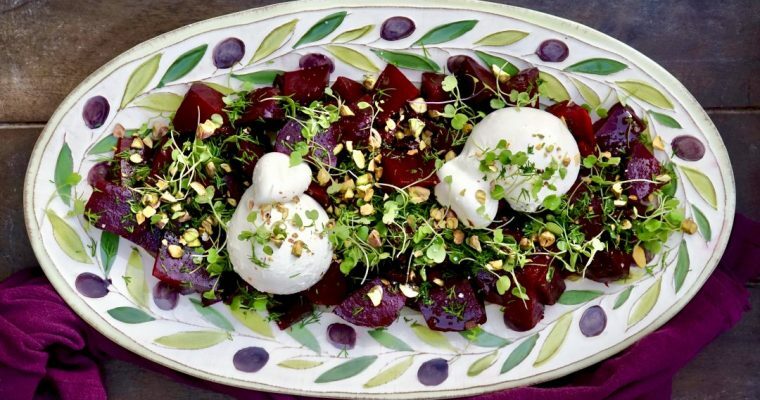 The critical aspect in making this classic favorite is that the citrus should be just present enough to balance out the sugar. Easier said than done, I will say. The whisky sour recipe has existed for a long time, first recorded around 1862 in the book The Bartender’s Guide by Jerry Thomas. But, this old-timer is actually much older than that; possibly by a century. It is said that sailors used a similar mixture of lemon juice and rum to help with scurvy and sea-sickness. For my more modern-day twist on this old favorite, I added freshly squeezed orange juice as well as cranberry juice, while being mindful of that critical balance between sweet and sour. I think I found the sweet-spot, so-to-speak, with this gem. I’m not typically a big whisky drinker myself, but this cocktail is smooth going down and may be just what you need for a change of pace this season. 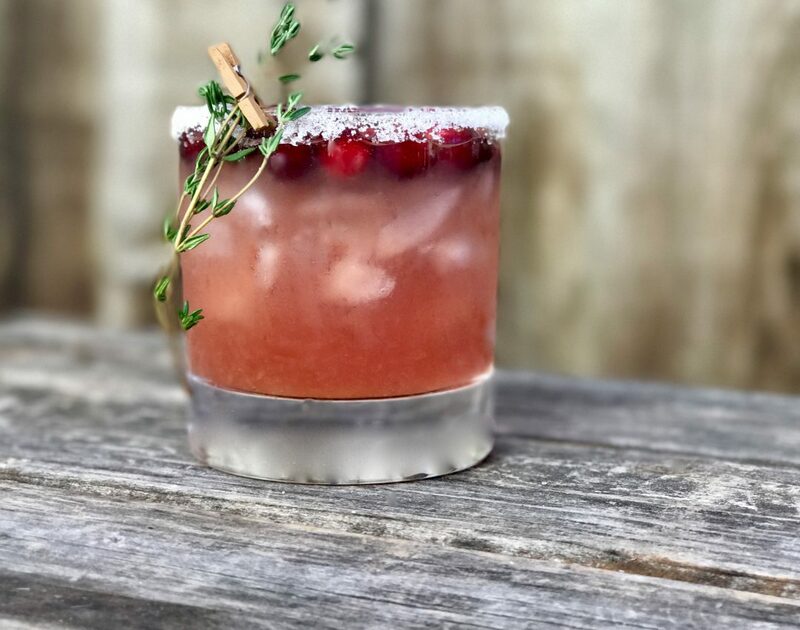 If you’re hosting a holiday party, consider serving this delicious and festive cocktail, your guests will not be disappointed. 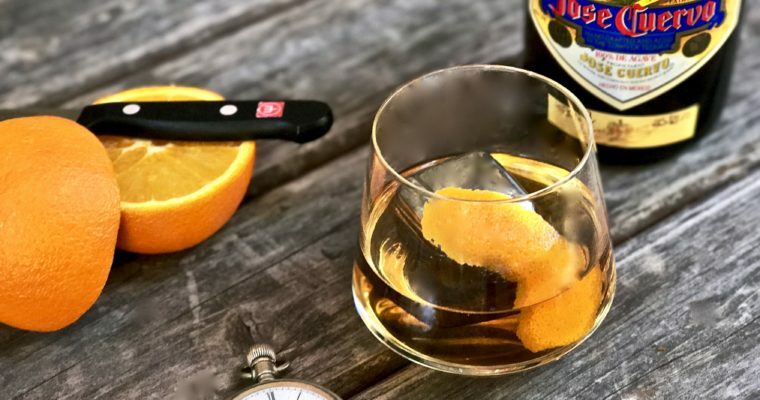 If whisky is not your thing, be sure to check out my easy mulled wine and holiday sangria recipes. Step 1 Place a good amount of sugar on a small plate. Use a small piece of lemon to set the rim. Dip the glass rim in the sugar to coat. Step 2 Fill a lowball glass with a good amount of crushed ice. Set aside. Step 3 Using a cocktail shaker, add the whisky, cranberry juice, orange juice, lemon juice and simple syrup. Shake vigorously for 15 seconds. Step 4 Pour the whisky mixture in to the prepared glass. 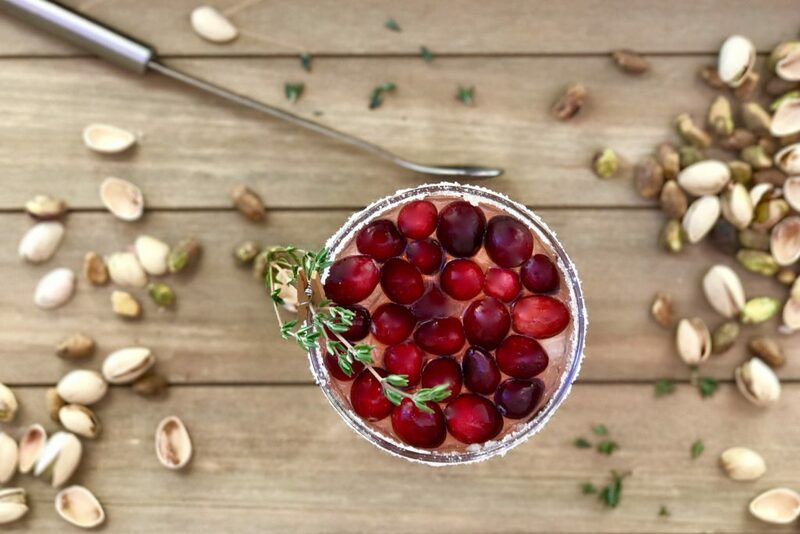 Garnish with fresh cranberries and a thyme sprig.